No one likes to think about the times when things could potentially go wrong, but as a smart business owner, you know that considering these times now can save you money and headache in the future. We know that, often, the livelihood of our client’s businesses is dependent on staying connected and when there is a problem, we know how to fix it fast, and fix it properly. 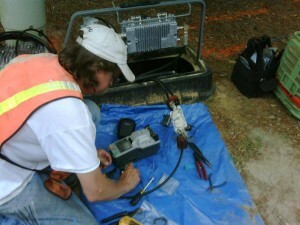 Using state-of-the-art testing equipment, we locate faulty lines, even when several circuits are lost. 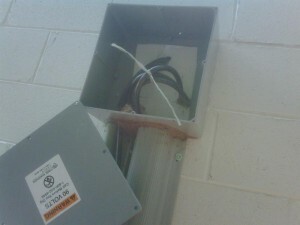 Due to the neat way we configure our enclosures and wires, we are able to pinpoint areas of potential damage before they ever affect the integrity of the system as a whole. 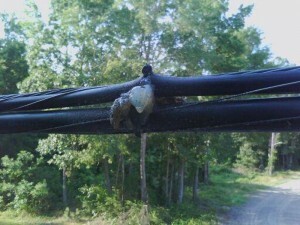 In situations where the cable is buried and has been cut, there is almost no way to get slack, but our team has experience with these kinds of difficult repairs and makes a way when none is apparent. 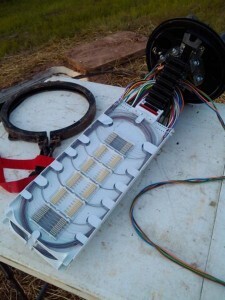 Weather changes and pressure can affect the delicate fiber-optics in your data network, but luckily, we know just want to do when your tubes expansion and contraction leads to exposed wires or short circuits. Call us now to come evaluate your existing setup, even if we didn’t configure it, and allow us to fix and optimize the way you connect your business. 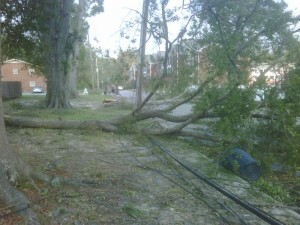 As a result of the cleanup, the power company cut the cable and moved what was left of it so as not to place debris on it. Sometimes our furry friends get carried away. But then we have to be able to find it. Our customer lost signal on several circuits but not all. Using the latest test equipment we isolated the fault and then through visual inspection found that a bullet had damaged the fiber. 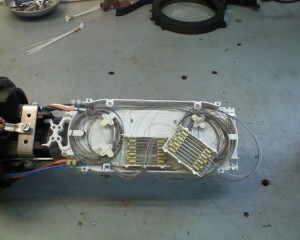 In this case the central tube has drawn up. 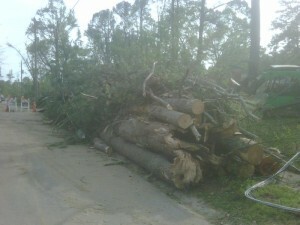 We presume this was due to extreme weather changes and resulting in expansion and contraction. 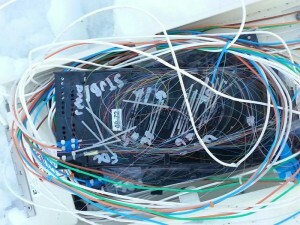 This is a fiber distribution cabinet that was run over during a snow storm. Most of its customers were still working. 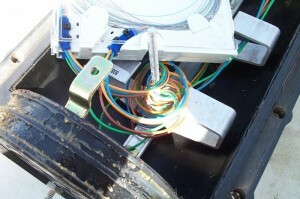 An aerial construction crew dropped this case while installing new fiber on the span. 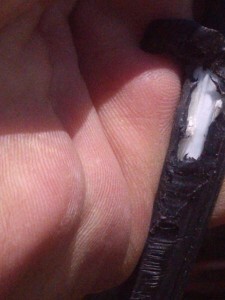 The tech that built this case thought this white fiber was the string blocking agent in many dry flex cables today. 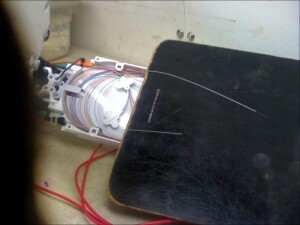 This left the fiber below standards so we spliced it and documented for repair. Additional documentation for our customers (After testing discovered high losses, we isolated the loss to this case and found the bend radius of these tubes greatly exceed standards). This looks neat and organized, but if we were going to put 12 singles in a ribbon sleeve we would use our Sumitomo Ribbonizer and splice them as ribbon. There is no standard for the way this was completed. This is another example of someone that did not cut to the appropriate length, however they did at least label everything correctly. Our labeling, splicing and organizing would be in order by the color code slate, white then red. 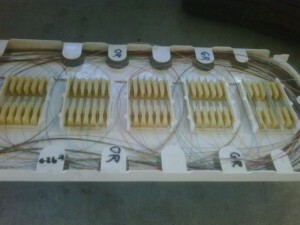 There is a reason we train our technicians to set their fibers in the tray and cut them to the appropriate length to organize neatly after they are spliced. This is an example of someone who did not. 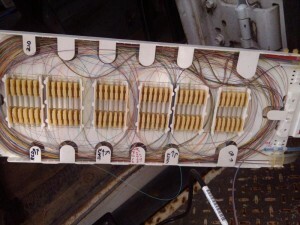 We found this when our customer could not activate a new circuit on their existing plant. 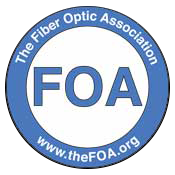 The backscatter and ambient light from other lit fibers impeded connectivity. Customer tried turning up a new circuit but found their signal could not reach the customer. 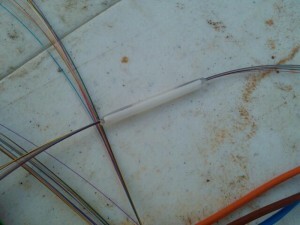 This is what we found; Fibers cables do have a minimum bend radius, in this case, 10 times the diameter of the cable. 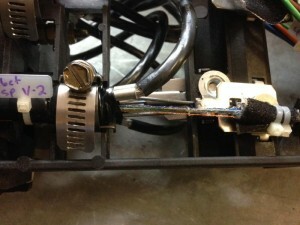 When a system direct buries the cable and then it gets cut, there is no way to get slack. To bring their customers back online, sometimes you have to work with what is available.